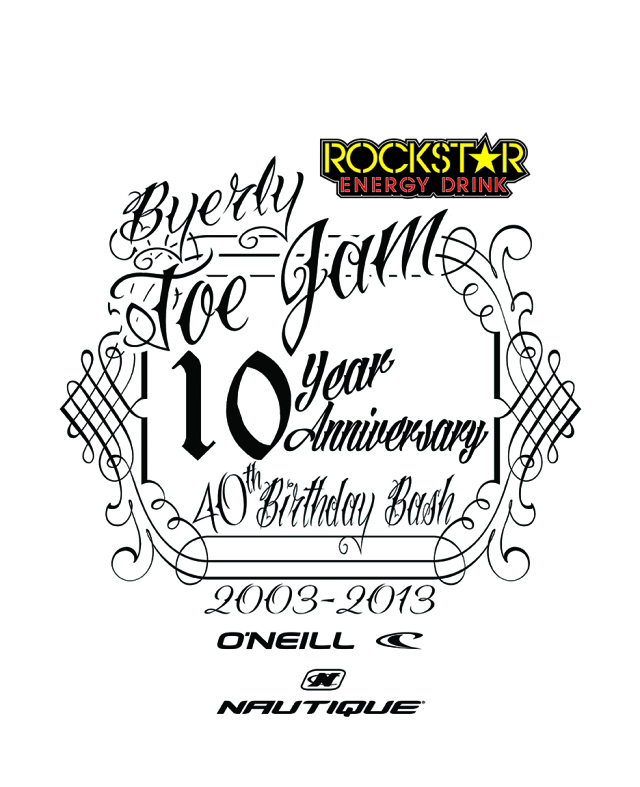 Make plans now to check out the unforgettable, 10th Annual Rockstar Byerly Toe Jam in Orlando, Florida on April 18-20, 2013, in conjunction with Scott Byerly’s 40th birthday. 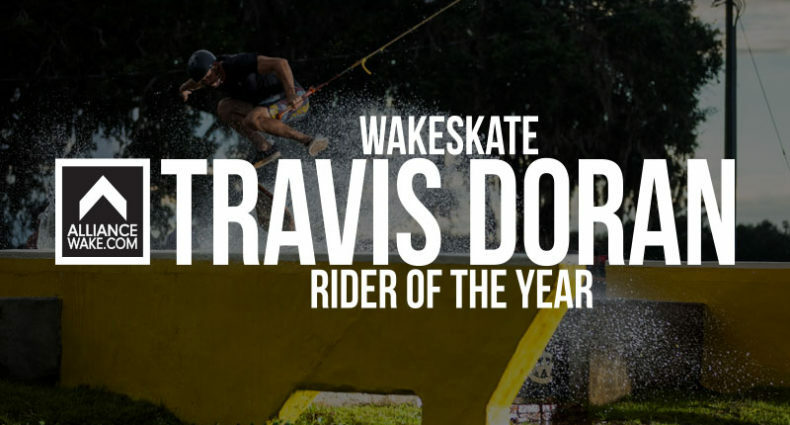 Registration is now open for the two categories of Gap and Boat, so register at thewakeskatetour.com today. 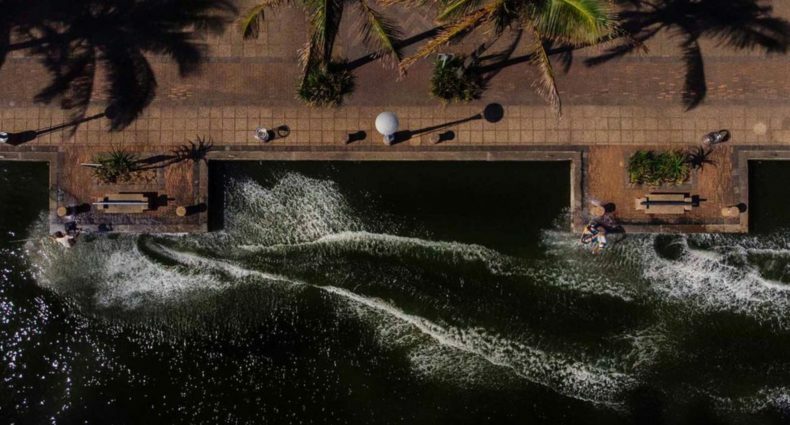 Wakeskaters from all over the world are invited to compete in the open qualifier on Thursday, April 18, the Nautique Byerly Icon Edition Boat event on Friday, April 19 and the Main Event behind the System 2.0 on Saturday, April 20. 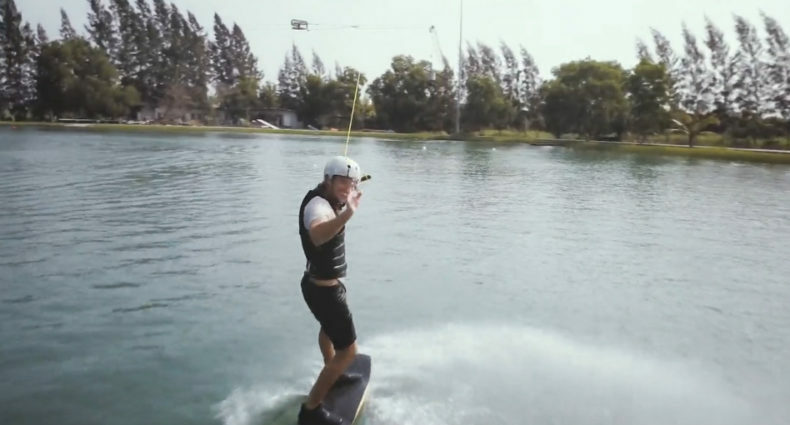 The public are also invited each day and welcome to attend Byerly’s 40th birthday celebration on Saturday, April 20.
www.thewakeskatetour.com to sign up and find out all the info for this and other remaining tour events. 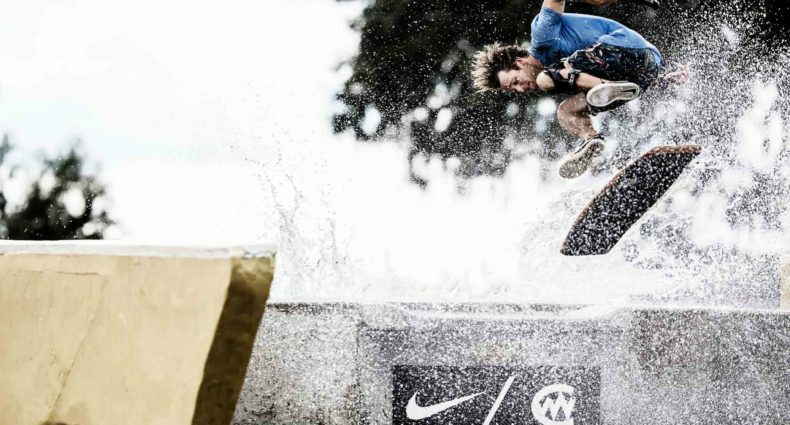 Why: To showcase two aspects of wakeskating with champions crowned in each.